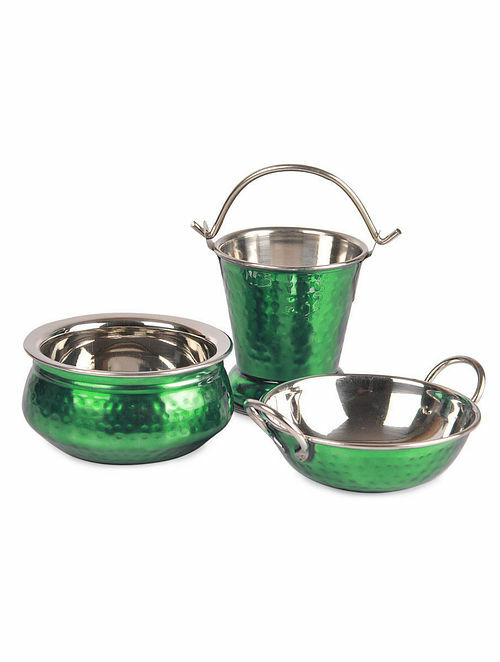 - Exquisite and amusing, this serving kadhai-handi-balti set in stainless steel has been hand-enamelled with food-grade enamel in electrifying hues. - Perfect to add color to your tableware. Handle with care. Paint will chip off, if mishandled.